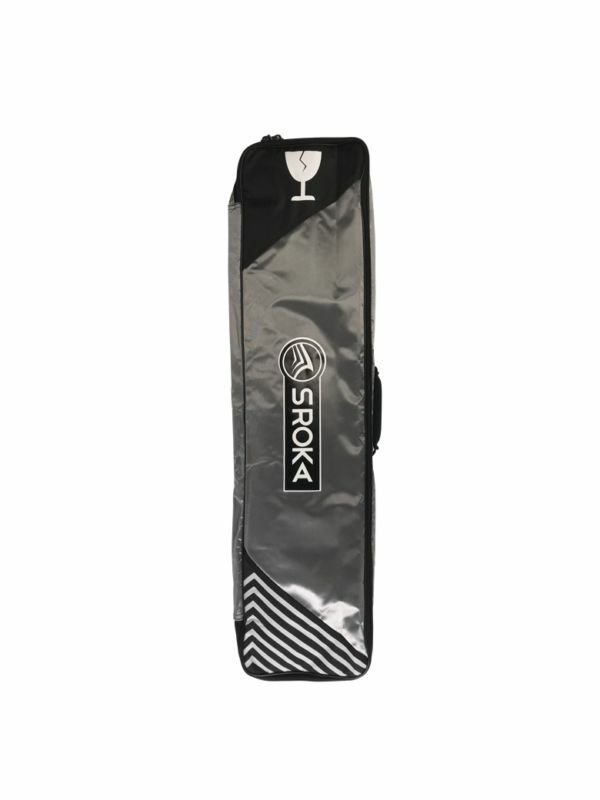 This Package Carbon Kitefoil & board pocket is equipped with a high quality 100% carbon Kitefoil, a board pocket suitable to all foils on the market and a platinum foil adapter. The Pocket Freeride 128 x 47 or 138 x 47 foil board is a light and very rigid board. 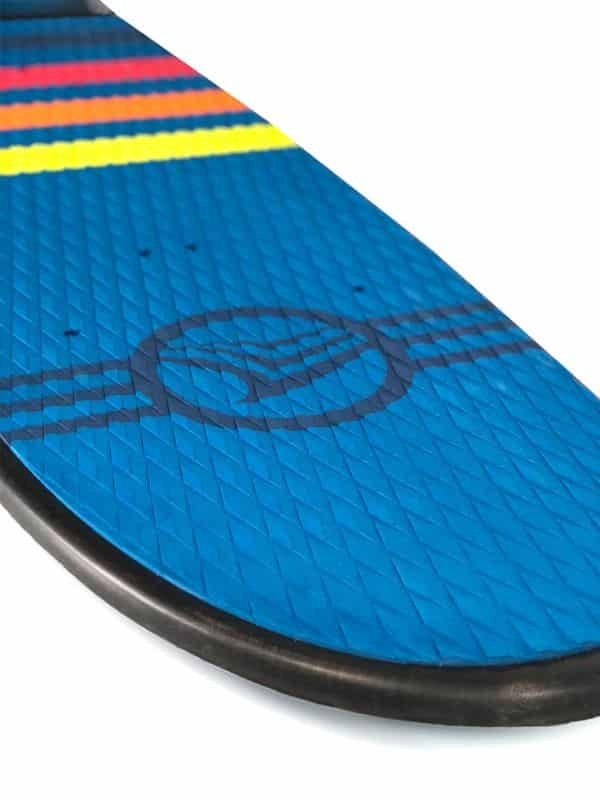 This compact board will allow you to initiate and/or navigate in skate-style mode. 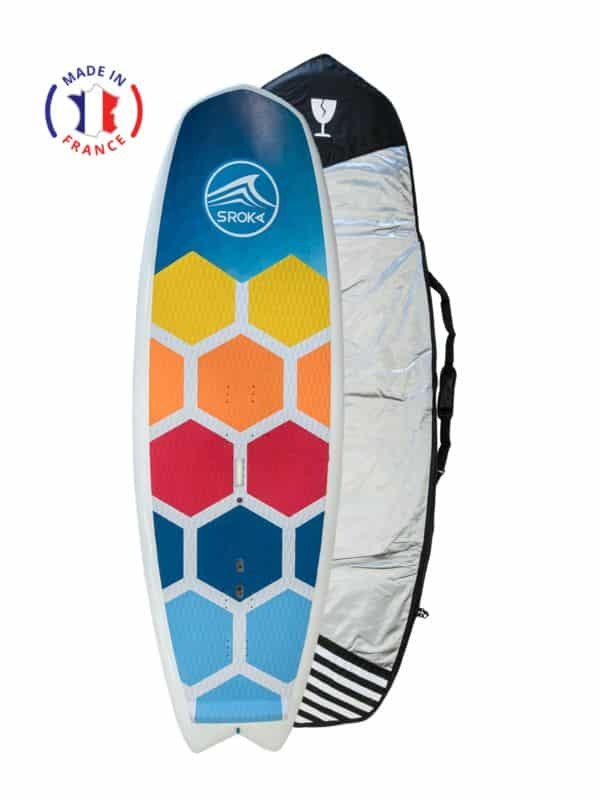 Versatile, this pocket board can be used no matter the conditions: if the wind is too strong to foil, just remove the foil to use the board as a directional board. 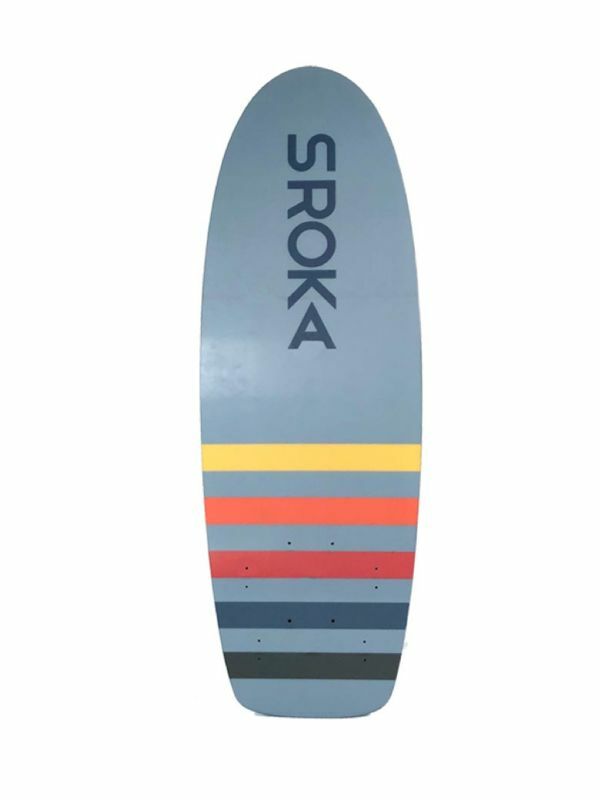 Plus this board is easy to carry and will be an ally to travel light. 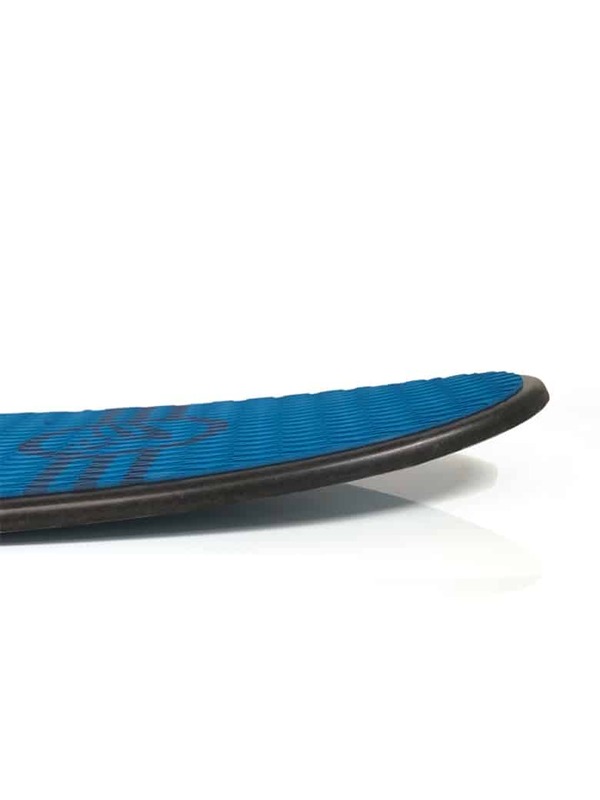 This compact board has been specially designed with a high-density foam to optimize the performance and durability of the product. 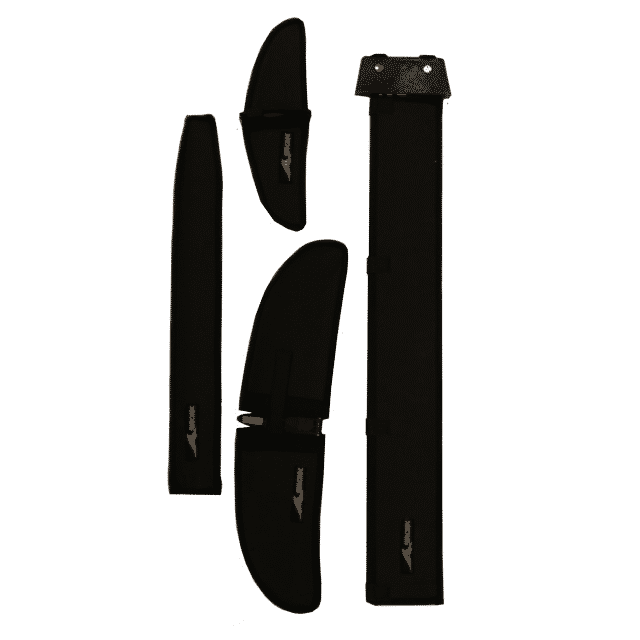 Inserts straps will allow you to put straps if you wish, depending on your style of navigation. The choice of size depends on your level and template. 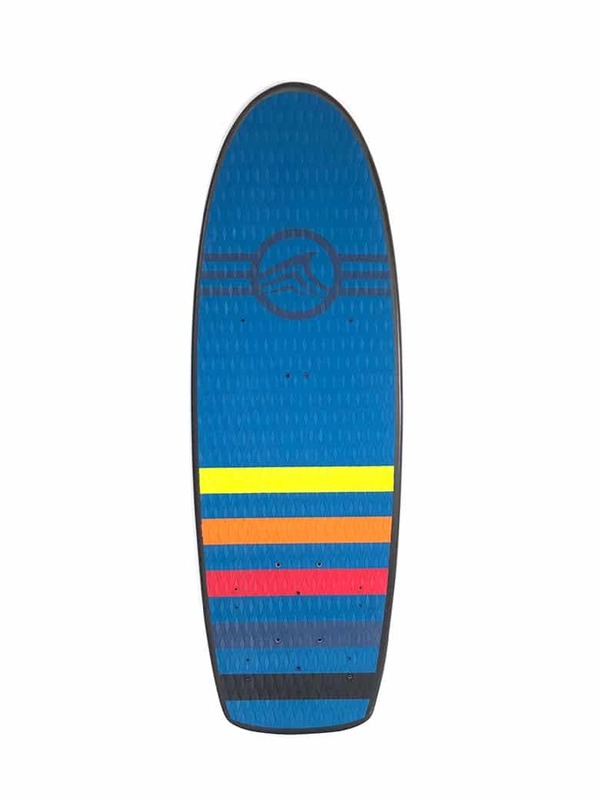 You are light or you want to do wakestyle: the 128 will suit you perfectly no matter the level of your practice. The 138 will be easier to access and will suit every body type. 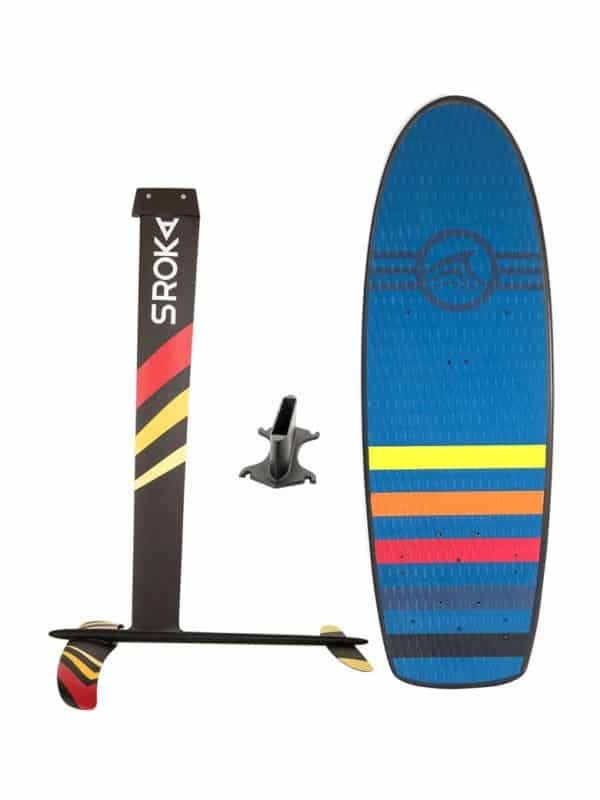 Best quality on the market, the K-foil is a kitefoil very performant, easy and accessible but also changeable. Change it according to your desires. All you need to do is to change the fins or the length of the mat. 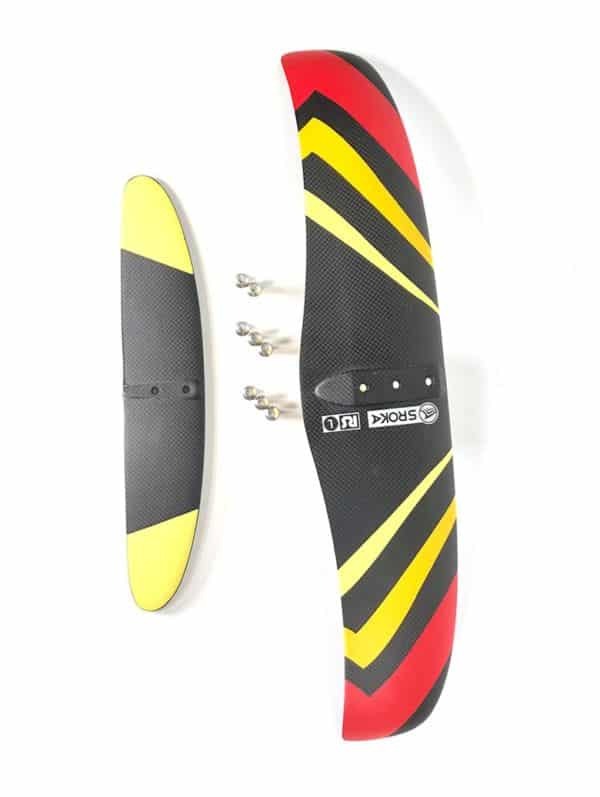 You will be able to change the board because we have an adapter to fix this foil on every board available on the market. The performance of the K-foil has significantly been improved to offer a foil with a maximum rigidity. The matt fuselage junction is made using a small insert that will increase the rigidity of the assembly. 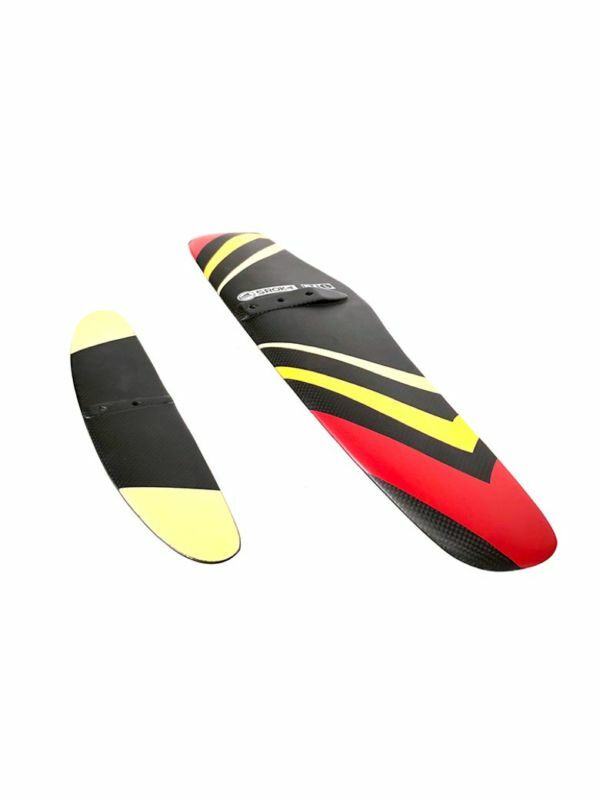 The fins and mat are 100% carbon, the fuselage is in monoblock aluminum T6061 to have the maximum rigidity and incredible finesse. 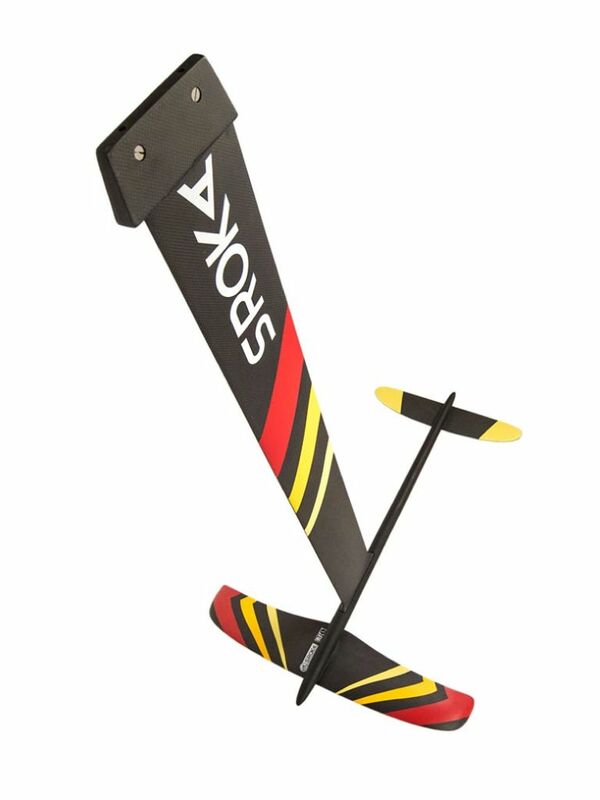 The fins are fixed under the fuselage to increase the rigidity and holding of the foil in high-speed conditions. 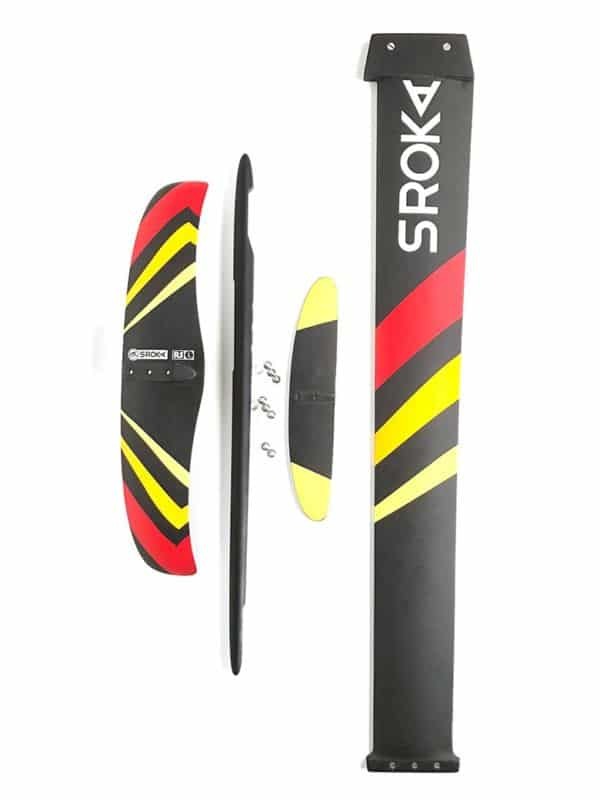 We’ve been adding helicoils which makes the K-foil interchangeable. Hydrodynamically tested. The foil is delivered in a protective case for optimal protection. Made of T6061 anodized aluminum, it was cut by CNC at the exact coast with an anodizing superior to 60 microns. The spacing of the screws is common to all boards. 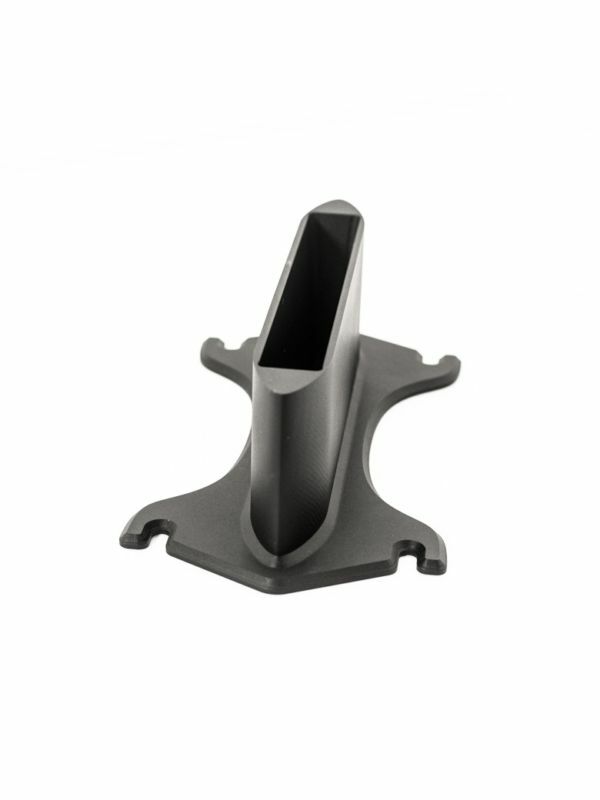 The opening on the ends of the holes allows a faster and easier mounting of your foil without having to completely disassemble your screws. Slightly loosen your screws and slide the Platinum Foil Adapter out of its screws to quickly disengage it from your board. 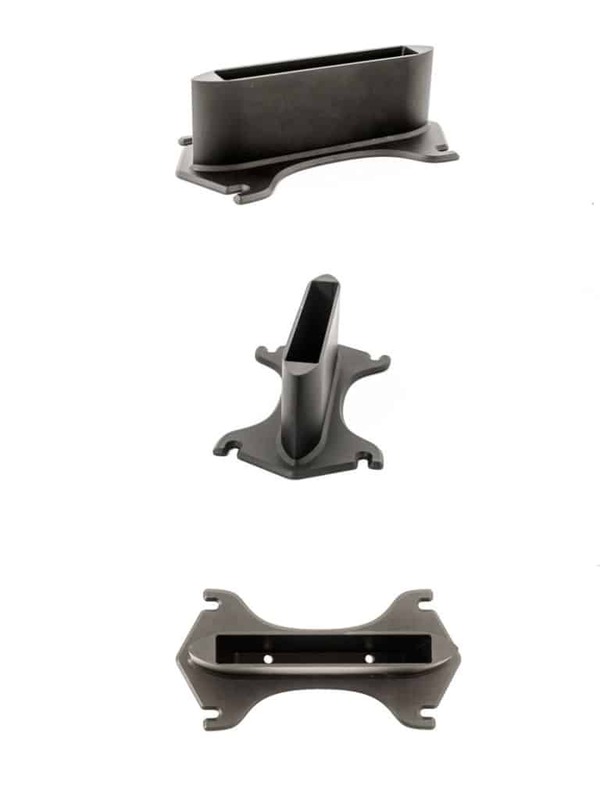 Finally, we profiled the platinum foil adapter to minimize drag and maximize rigidity. This 3D foil platinum adapter box is perfectly suited for S-foil and K-foil. 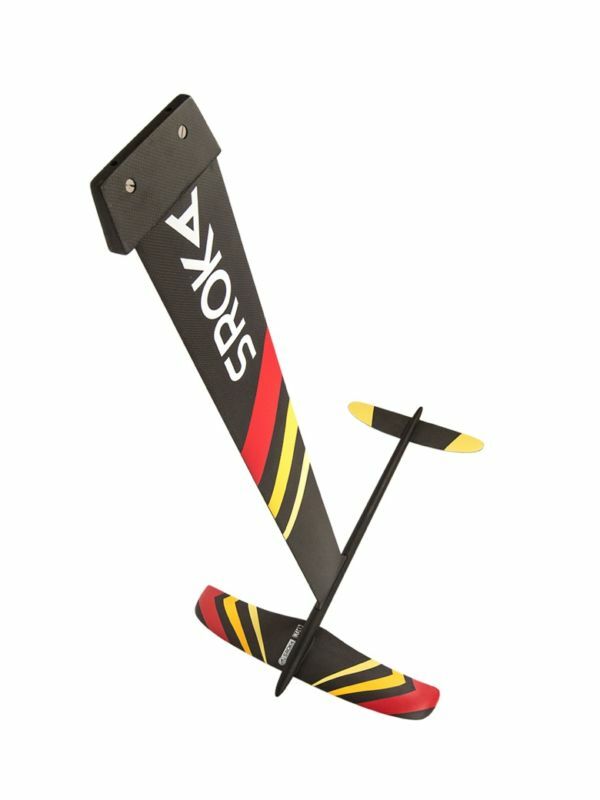 I have the 138 pocket foil with the xl wing. I really like it. It’s moderately fast yet you can slow it right down if needed. 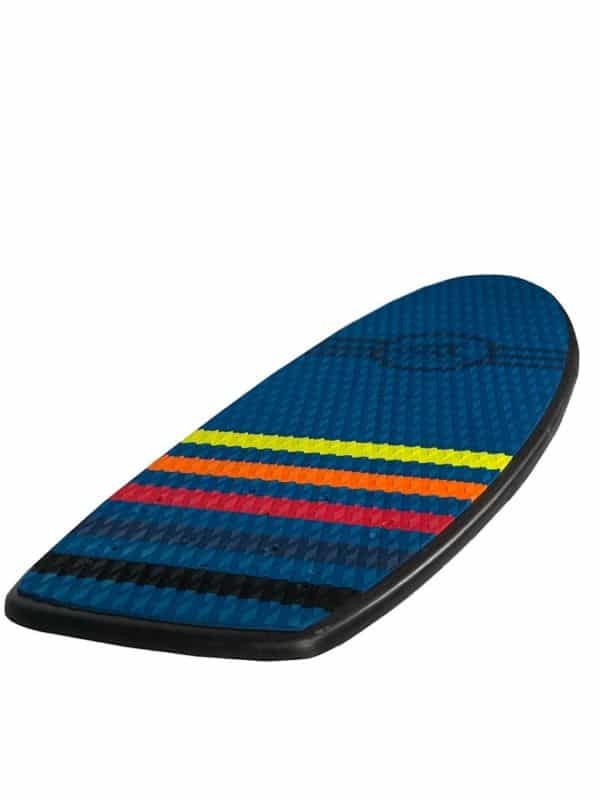 The board is light which is great for travel but think that putting fins on it is a waste of time. I would rather see a more squared off nose turned up with nicer rails for the odd touch down. Haven’t seen a good combination board yet that works well. Stick to a nicer one use board.